Above is Martin standing at the edge of the one plot in mid-August. 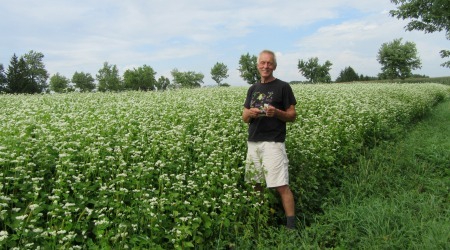 To read more about buckwheat visit the full blog here. As sometimes happens, this one picture turned into a full blog post about oats & peas and how alfalfa in underseeded to these crops. To read the full blog visit here. It's July 25th and starting last weekend we've received a good amount of rain. The rain was needed after the hot spell, and it came at the perfect time. 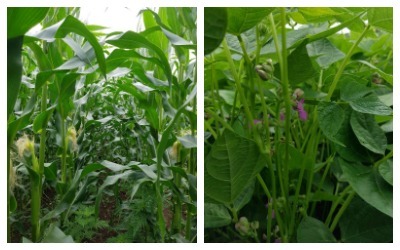 As can be seen in the following photos, the corn is tassling and the cobs start to form at this time. This is when the corn needs most of its water. The black turtle beans are also pictured on the right. You can see that they are starting to flower. 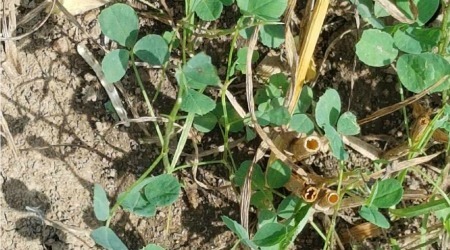 This is a critical time for crops as they start to produce, and their moisture needs are high. Our pumpkin patch is going crazy with the heat and moisture. 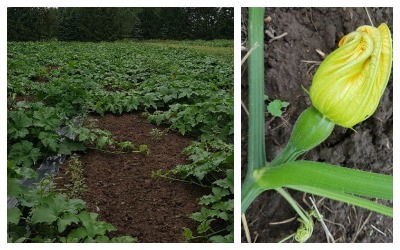 You can see in the picture on the right, how below the blossom, the actual pumpkin is starting. It's June 14th, and we're finally catching up on field work. 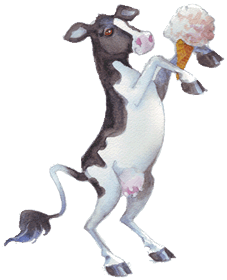 The silo is full, the hay baled, the corn has been scuffled and manure spread. Now we need some rain. 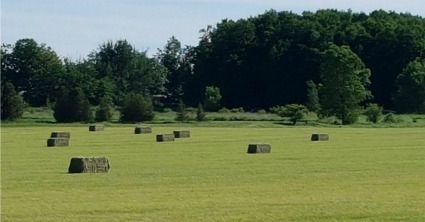 Here are last of the hay bales coming in from the first cut of hay. In this photo - our most valuable resource headed to the hay field to feed the second cut. 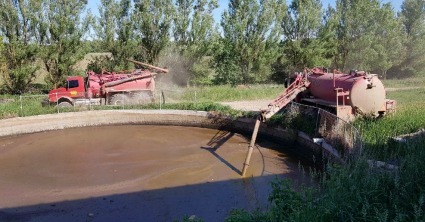 You can read more about liquid manure in this blog post here. 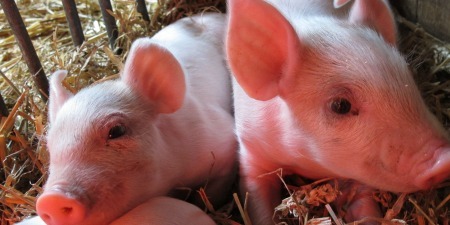 On May 26th, our sow gave birth. In posting pictures to Facebook a number of questions were asked. 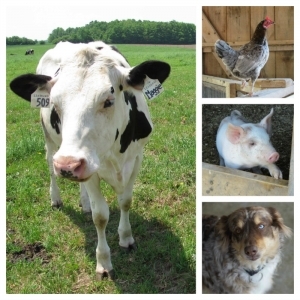 We put together a blog in June to answer these questions and provide additional information about our pigs. On the farm there are a number of nesting boxes for birds. One such box was home to chickadees. 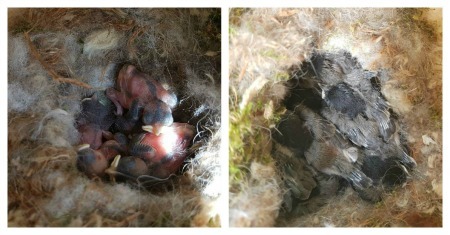 The left photo is from May 29th, showing 7 baby chickadees. The photo on the right is from June 5th... they grew fast! If you would like to see what we were doing a year ago, check out the June 2017 blog here.